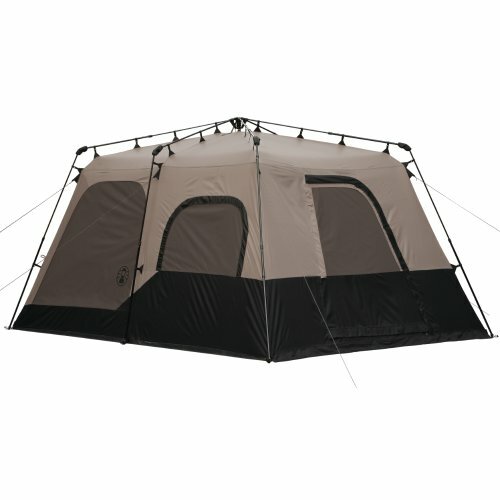 The Coleman Instant 8 person 14- by 10- Foot tent is perfect for the family that is looking to get their campsite set up quickly to start enjoying the outdoors. 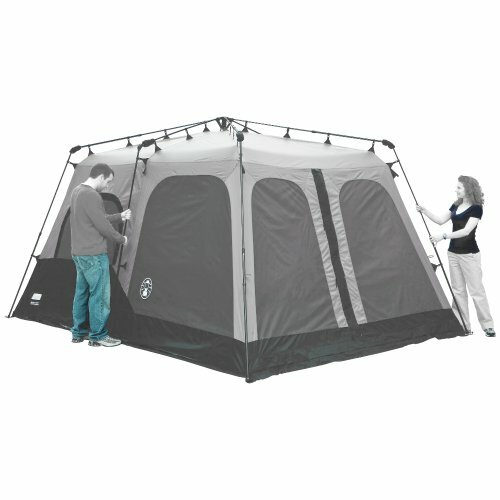 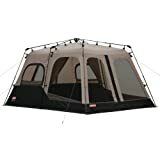 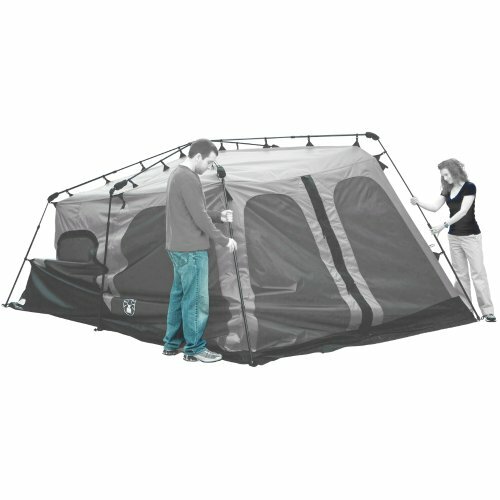 This is an 8 person, two room tent that has straight walls that make standing up in this tent easy with plenty of head room at 6’5” center height. 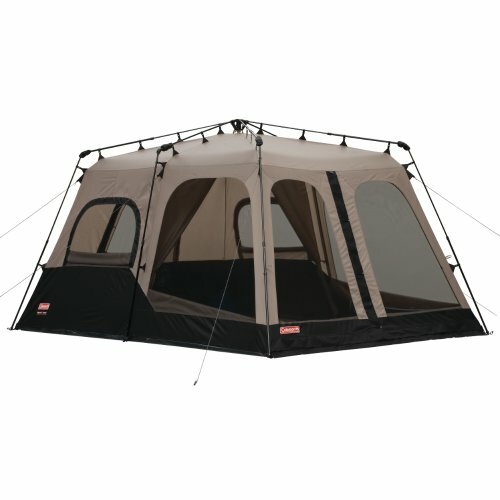 Fully taped seems with 150D fabric allows Coleman to provide the keeps you dry guaranteed without the need to install a rain fly.